Asif Choudhury, born in March 1980 is the eldest of four children of a devout Muslim family of Bengali origin in London. He grew up and studied in London, graduating with a LL.B Law degree. A natural writer, he started writing Nasheeds at the age of 21 after feeling the need to express issues affecting himself and the Muslim Ummah. Asif Choudhury chooses to go by the name 'Slave of Allah' in order for it to be a reminder for the purpose of being in this world and the reason why all of humanity has been created: For the worship of Allah. 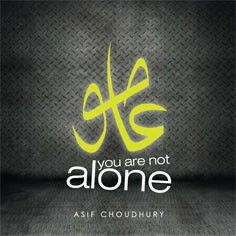 Part of the inspiration for Asif Choudhury in his nasheeds comes from the reflection upon the youth at the time of the Prophet Muhammad (Peace be upon him). Asif Choudhury is involved in a lot of youth work in the community and he feels that the youth living at this time and age can do a lot better to emulate youngsters such as Ali(RA), Hassan and Hussain (RA), Mus’ab bin Umair (RA).